We're able to shift performance when we have a better understanding of how people learn, their motivations, their barriers, and abilities. Explore the research that will help you create impactful learning experiences. 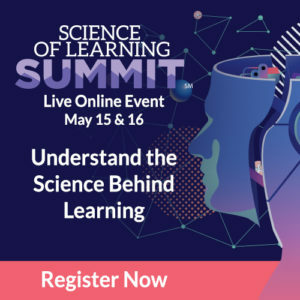 Science Of Learning Summit - What Does The Science Say About How We Can Drive Peoples' Performance? The Science of Learning Summit will explore the research on how people learn and then apply those new skills in the workplace. This Summit aims to make the research practical by looking at how you can apply it into your own work.